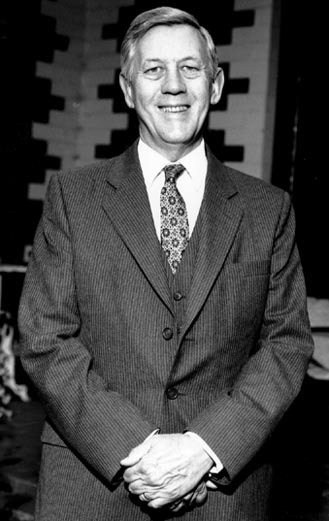 Justice A.E.Woodward, who had been a leading member of the Victorian Bar, had learned much about Aborigines' relationships with land when he acted for the Yirrkala Yolngu against Nabalco, 1969-71. As Royal Commissioner in 1973, Woodward visited 20 Aboriginal communities in the Northern Territory before coming to the conclusion that the people he was trying to consult needed organisations through which to address him. His first report, in July 1973, called for the government to help Aborigines set up land councils. The Northern and Central land councils then consulted Aboriginal people on what to say to Woodward about a system of legal title to their land. Woodward's second report, presented in April 1974, was based on the land councils' submissions. He provided the Whitlam government with a blueprint for an Aboriginal land rights law in the Northern Territory. All Aboriginal reserves and Aboriginal-owned pastoral leases were to be handed over to Aborigines. Aboriginal living areas in towns and on pastoral leases should be leased to their residents. The land councils should continue to act as the political and legal representatives of Aboriginal owners. In particular, they should help Aborigines to prepare claims, based on anthropological evidence, to vacant Crown land and to leases. Once established, their title would include the right to refuse mining projects and tourism. Aboriginal owners should be able to get advice about the future development of their land. Woodward's ideas were based on what Northern Territory Aborigines told him, but he intended the principles of his recommendations to apply to the whole of Australia. He hoped that regional land councils would soon be formed in all States, the expression of their wishes to be coordinated by the National Aboriginal Consultative Committee, an elected body set up by the Whitlam government in 1973. Still: Justice Woodward. Courtesy of Justice Woodward.